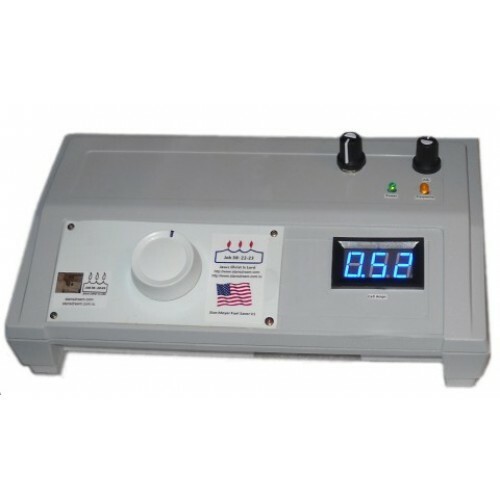 This Professional replication from Stan Meyer's Patent, Stan's entire Electrical Polarization Process (8XA) control box, 9XD voltage regulator card, and 9XB variable pulse generator circuits - all in one. 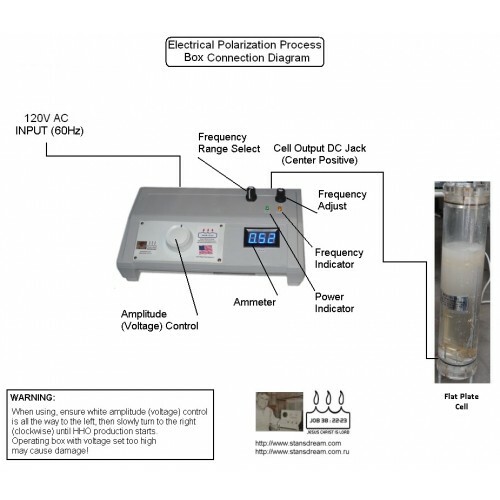 This is Stan's full Electrical Polarization Process Circuit - condensed into a lightweight module! 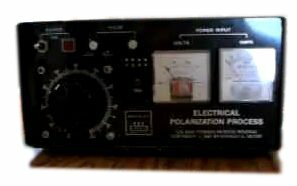 It is an original Stan Meyer circuit, taken directly from his demo box for the patent office! 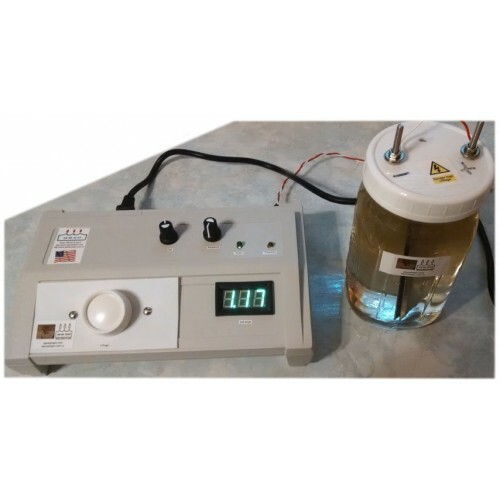 All that is required is a power source of AC 120V and a water cell. 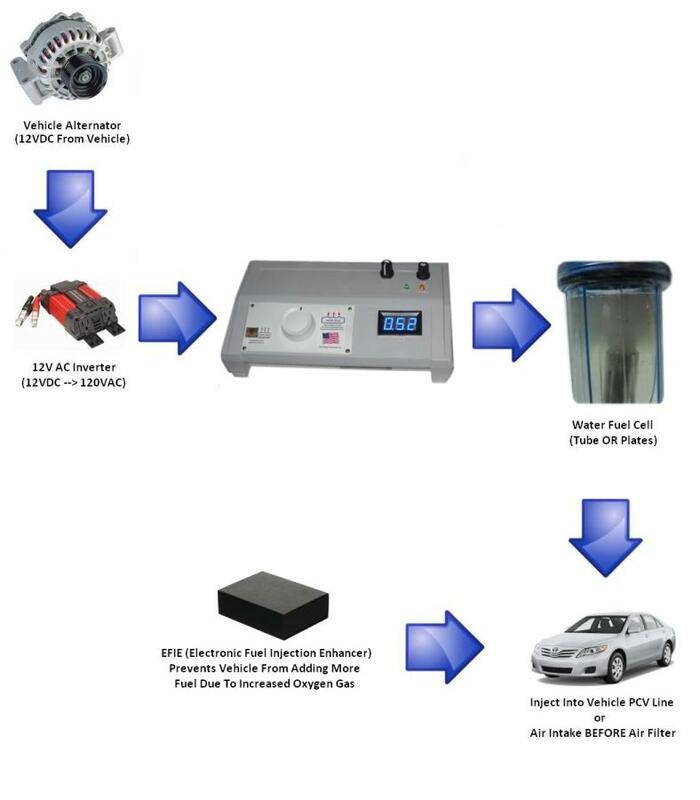 Test water fuel cell included! Completely assembled and tested! 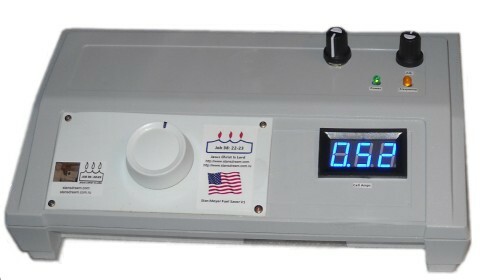 Can be used with an inverter in a vehicle to save on fuel. There is no resonance with this setup, but it produces lots of HHO! Q. 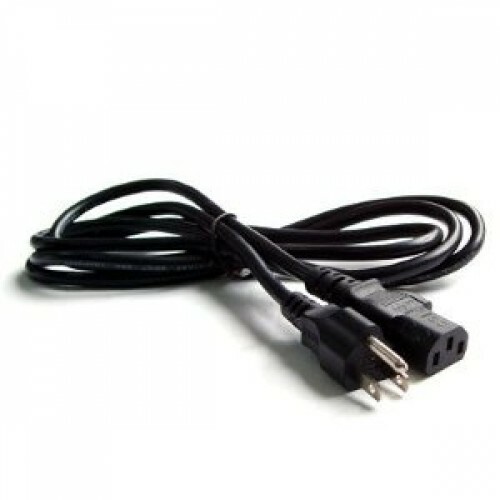 Does This Produce HHO Gas? Q. What kind of fuel cell can be used with it? Q. What kind of water do I use? A. 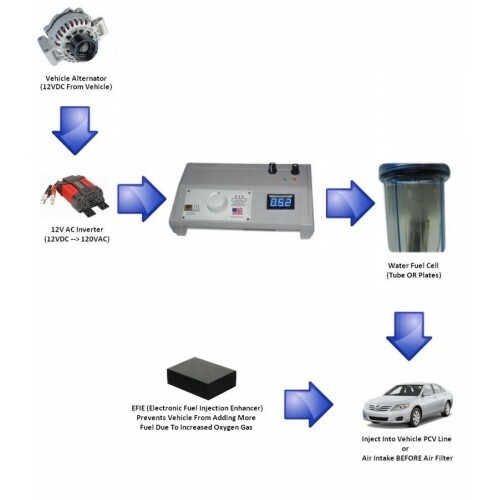 No, it will not run it completely on water, but will allow you to use less gasoline than you would without it. The ultimate goal is to REPLACE gasoline, but we must work one step at a time. Using less gasoline is a first step while we further develop Stan's work. Q. I see you have an EFIE in the diagram. Did Stan use an EFIE in his designs? Q. 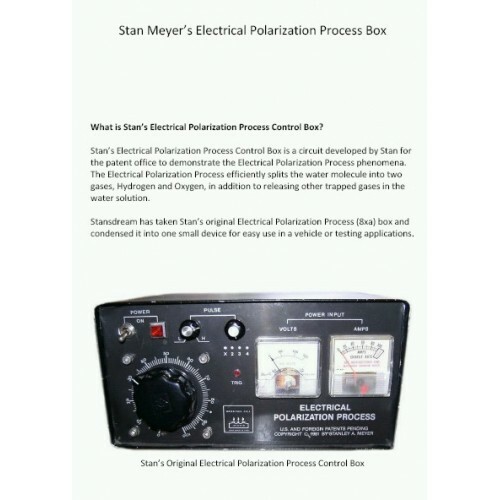 Why is the Stan Meyer Electrical Polarization Process Box so expensive? A. 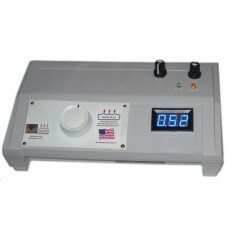 The main reason for the price difference is because the unit is soldered, wired and tested by hand. We have to cover the time required to do all of this, and it takes a lot of time to do this right. Q. What is the difference between this and the other cells I see all around the internet?